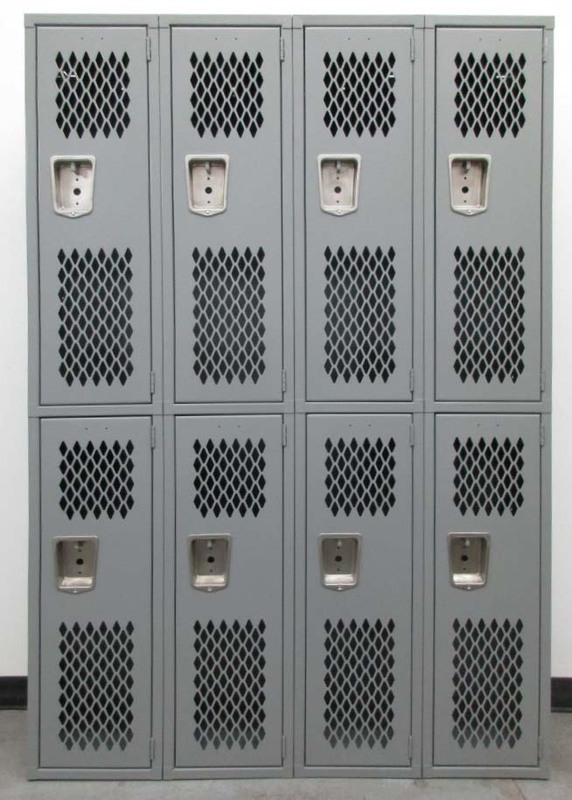 These Used Gym Locker are available on www.buyusedlockers.com where they have a huge selection to choose from if we need additional supplies. 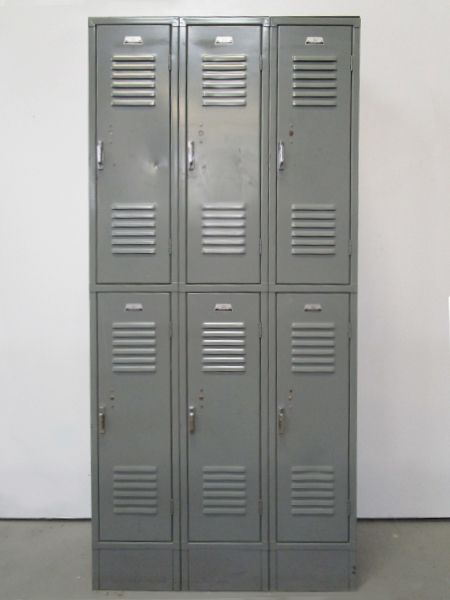 Gym lockers for sale that are made of heavy duty metal and have ventilated doors. Each locker compartment is 12" wide x 15" deep x 36" high. 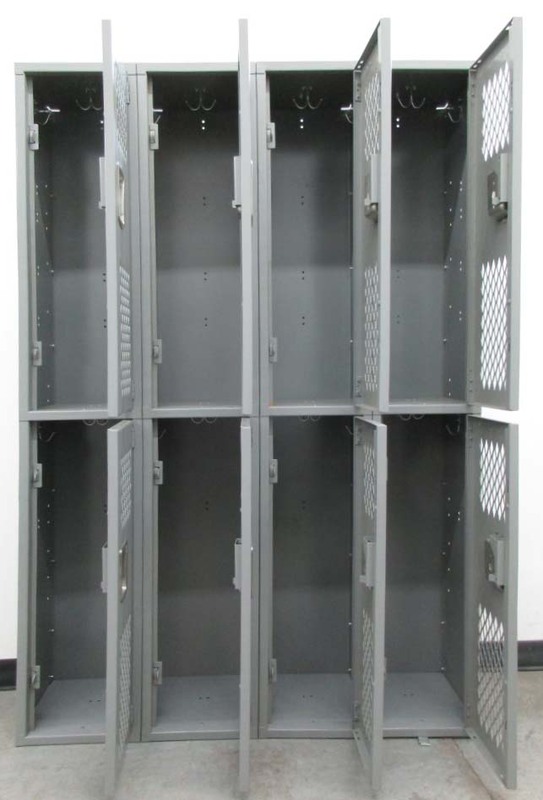 We have a total of 8 lockers in 4 columns in a popular gray color. 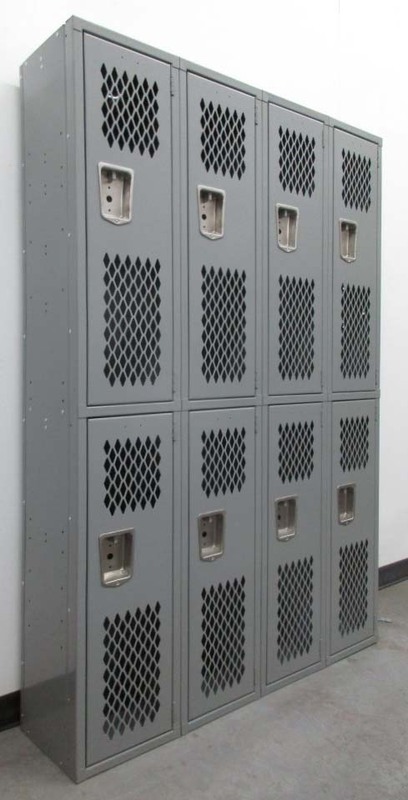 Athletic type lockers are also known as heavy duty ventilated lockers and are often used in school gyms and locker rooms for gym students and sports teams, but also popular in health clubs, fitness centers, and spas. Heavy duty athletic lockers will last indefinitely if properly cared for. Lockers can be locked with padlocks, or by adding a built-in key or combination lock to them.